As work progressed in Squares 1 and 2, we can now happily confirm that we have a mud brick structure of considerable size at SAV1E – its North-South extension is more than 15 m and we calculate c. 12 m for its East-West side. Both, size and orientation match perfectly a structure visible on a geophysical survey conducted in 2011. Cleaning the remains of the mud brick wall in Square 1. 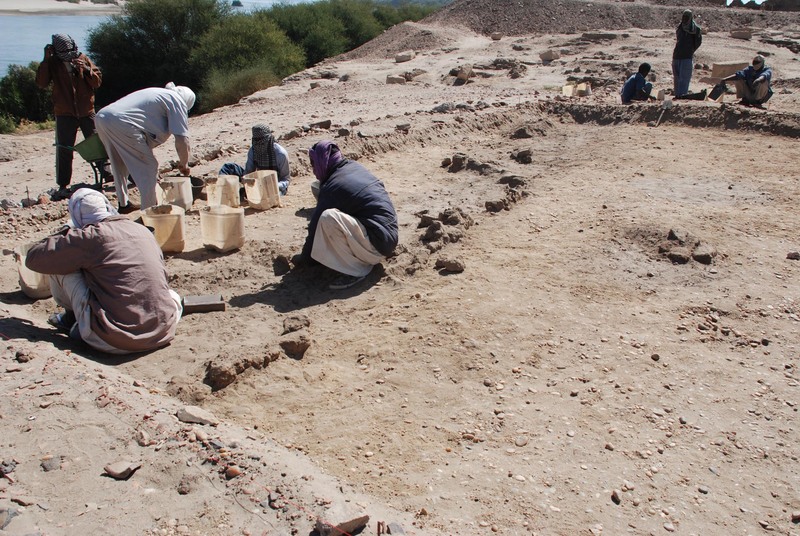 As yet, we have unearthed only parts of its eastern and southern wall – although most of the eastern wall is now a negative impression filled with very soft sandy material, there are sections with bricks still in place, giving the width of the wall. Because of the large amount of New Kingdom ceramics associated with the remains, we remain confident that it dates to the 18th Dynasty. Details of the architecture, stratigraphy and possibly functional use will be clarified in the course of upcoming fieldwork! 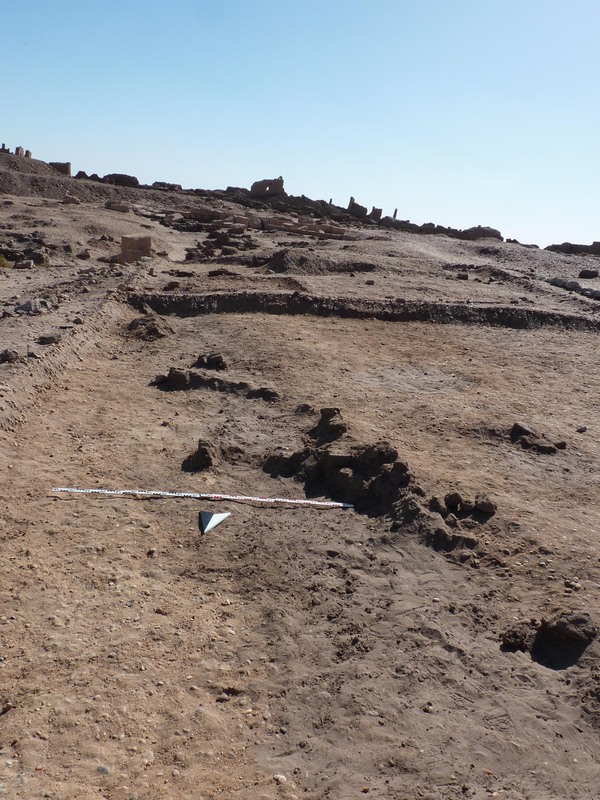 This entry was posted in 18th Dynasty, Archaeology, New Kingdom, Settlement architecture, Upper Nubia and tagged Brick architecture, New Kingdom, Sai Island by Julia Budka. Bookmark the permalink.